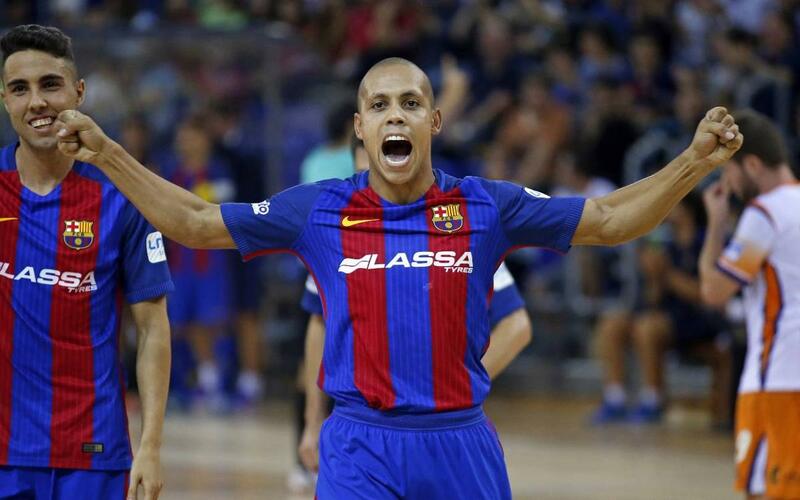 The Barça Lassa futsal team bounced back from opening day defeat in Peñíscola by winning their first game of the league season at the Palau Blaugrana. Cartagena were the victims, 5-4, and the goals came courtesy of Ferrao (2), Aicardo, Dyego and Roger Serrano. It was by no means an easy victory, and it was the visitors who opened the scoring through Juanpi, but Barça had managed to turn the deficit into a 3-1 lead by the break and Serrano’s fourth shortly after the restart looked to have secured the three points. But Cartagena managed to pull back to 4-3 and there were some nervy moments before Ferrao re-established the two-point cushion. Not even that put the game to bed because Juanpi promptly pulled another goal back for Cartagena, and things very nearly finished all square in the very final seconds of the match when a Josema free kick struck the Barça post. It was close shave, but ultimately coach Andreu Plaza was able to celebrate the first three points of the league season.